There are many ways to spell l-o-v-e, but I think there are three (3) that are most significant. First of all, l-o-v-e is spelled a-c-t-i-o-n. When you ask most people to define love, most likely they will define it in terms of descriptive feelings. But did you know that in the Bible the word “love” is not found in the adjective form, but rather only as a noun and a verb? In other words, love in the Bible is not something that is felt, it is something that is and something that is done! John 3:16 says: “For God so loved the world, that he gave his only begotten Son, that whosoever believeth in him should not perish, but have everlasting life.” (KJV) The use of the term “love” in the verse is not a description of how God felt about the world, but rather about what God did! The Bible also says in 1 John 4: 8, 16: “God is love.” Again, the term “love” in both verses, is not descriptive, it is not used as an adjective to describe God, but rather as a noun to tell what God is! 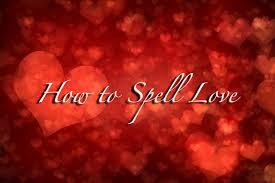 How do you spell love? In the Bible, love is not something that is felt, but rather it is something that is done and something that just is! In the Bible l-o-v-e is spelled: a-c-t-i-o-n. The second most significant way to spell l-o-v-e is t-i-m-e! 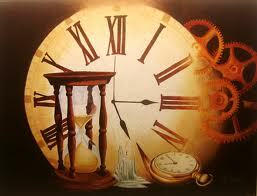 Time is one of the most valuable assets we have in life. There are many today who think money is their most important asset, but time is even more valuable than money! The value of something is determine by its uniqueness and limitations. Time is more valuable than money because, all things being equal, you can always get some more money, but once you spend time, it can never be replaced or recovered! That is why it is a tragedy to waste time and it should be a crime to kill time! Since time is so valuable, we can use it to express and spell love. Why? Because people tend to spend time on and with what and who they really love! If a person is spending “money on you” but “not spending time with you,” their love for you might be suspect! The third most significant way to spell l-o-v-e is a-t-t-e-n-t-i-o-n. This is closely related to time, but not quite the same thing. Attention is not the same as time because it is possible to spend time with a person or thing while at the same time, not paying real attention to that person or thing! That was the rationale behind the old R & B hit that said: “Your body is here with me, but your mind is on the other side of town!” There are other significant ways to spell l-o-v-e, but in my opinion, these three; action, time, and attention, are the most significant. Now tell me; how do you spell l-o-v-e?